Michael North-Morris, PhD, has been named a Senior Member of SPIE, the international society for optics and photonics. Senior Member status is given to members of distinction in honor of their professional experience, their active involvement with the optics community and SPIE, and/or significant performance that sets them apart from their peers. 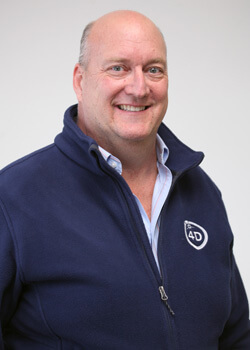 Dr. North Morris, 4D Technology’s Director of Product Development, has over twenty-two years of experience in optical engineering and interferometer design. His technical innovations have garnered numerous patents and publications, while his 4D product programs have earned two R&D 100 awards for technical excellence and NASA’s Exceptional Achievement Award. Congratulations to Dr. North-Morris on this distinguished achievement.